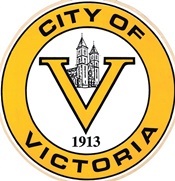 The purpose of the Victoria Recreation Commission is to seek the development of a broad variety of recreation programs to meet the total needs and demands of the residents of the community. Discount movie tickets are available at the school offices. Regular Victoria Rec Board Meetings are held the 2nd Wednesday of every other month. For more information on these Victoria Rec items, contact the Athletic Director, Sharon Bleske at 735-2454. Privately funded traveling sports teams in Victoria.